Zira and Frollo. Requested 由 KingSimba4Ever9. HD Wallpaper and background images in the 迪士尼跨界（crossover） club tagged: disney crossover frollo zira. IT LOOKS TO REAL! O_O IT'S AMAZING! 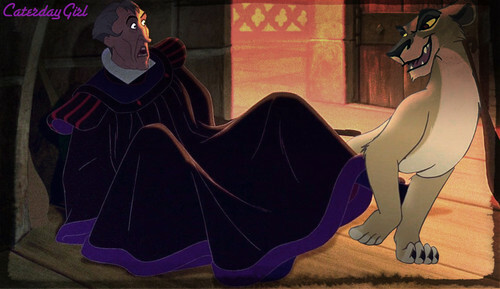 I LOVE FROLLO'S EXPRETION!